A first-of-its-kind cutting-edge concept and technology received media attention last week as Northland, St. Cloud State University (SCSU) and the Minnesota Sports Facilities Authority unveiled the results of an ongoing project that has been in development since July. The project has the potential for extraordinary impact on industries using drone technology. The results will now be in the hands of Northland students in the classroom and in the field. 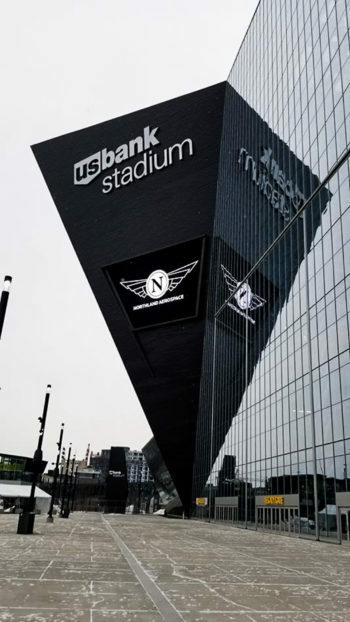 Industry partners such as Sentera of Minneapolis, MN, supported the project by providing necessary subject matter experts for drone and sensor selection as well as using their Field Agent software to map the roof structure. 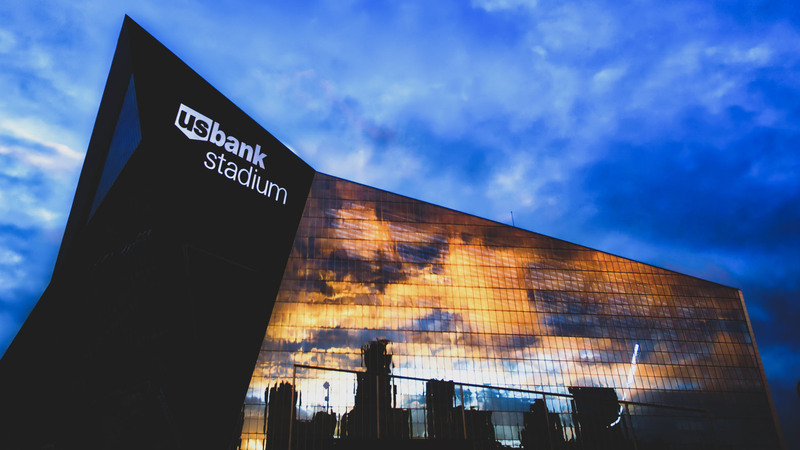 Drones flew around US Bank Stadium to collect high-resolution imagery. Using newly developed software tools allowed for easy viewing of desired information in real time. This provided not only an accurate historical database of imagery and information but also georeferencing of imagery in three-dimensional space which, in turn, can be projected onto existing 3D models for user reference. The project has inspired new ideas based on industry needs to efficiently and effectively utilize drone technology. It has led to the development of new software tools for one of the biggest challenges facing the drone industry: processing mass amounts of drone imagery into usable products. Working across the State of Minnesota, this project seeks to identify industry needs, collaborate with subject matter experts, and create real-world solutions using drones and geospatial technology. An important goal for Northland and SCSU is to integrate lessons learned into technical education and advanced degree programs. This is a core component to service-based learning and applied learning that enhances students educational experience. The new tools and concepts previously unavailable to geospatial technicians will benefit students at Northland, SCSU and other geospatial programs across the country. Students will see firsthand how this resource can be leveraged to increase efficiencies in the utilization of real-time imagery as it relates to a critical infrastructure inspection. This project is a model example of bringing together industry and education to advance knowledge at all levels through hands-on applications of emerging technology. Drones and geospatial technology impact key interests of many industries today and into the future.